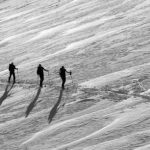 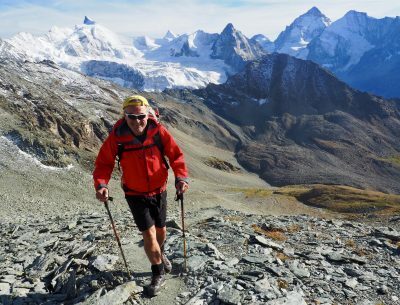 The Bishorn is a classic Swiss alpine 4000m peak and its ascent combines a long and beautiful hut walk, from Zinal, with a night in a superb Swiss mountain hut. 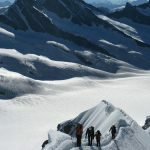 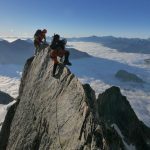 The pre-dawn alpine start, high altitude glacier journey and magnificent views of the surrounding Giants of the Swiss Valais Alps make this a climb to remember. 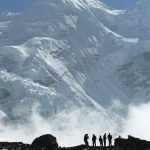 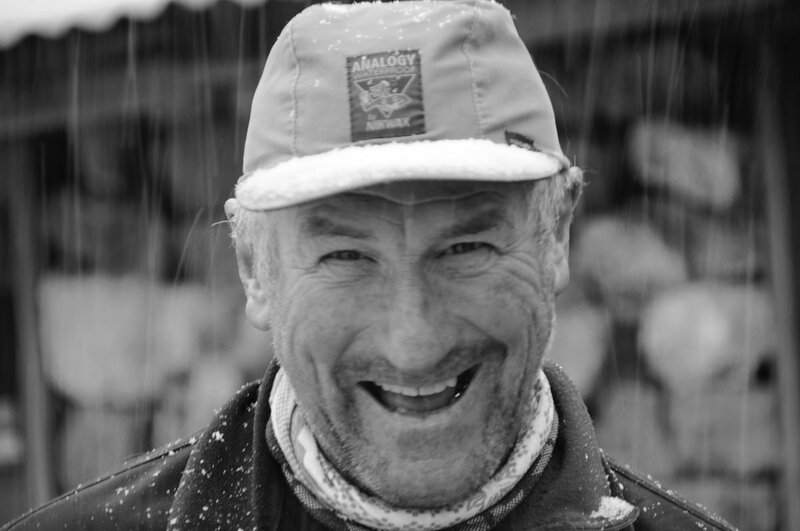 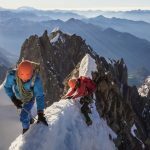 But, also one to prepare for, as the significant height gains, demand of high altitude mountaineering and a major descent require strong mountain legs and are not for the faint hearted! 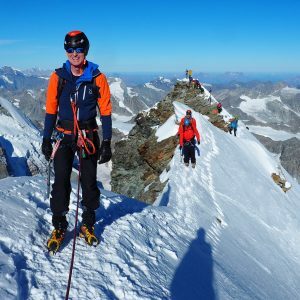 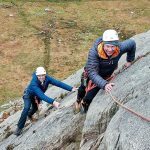 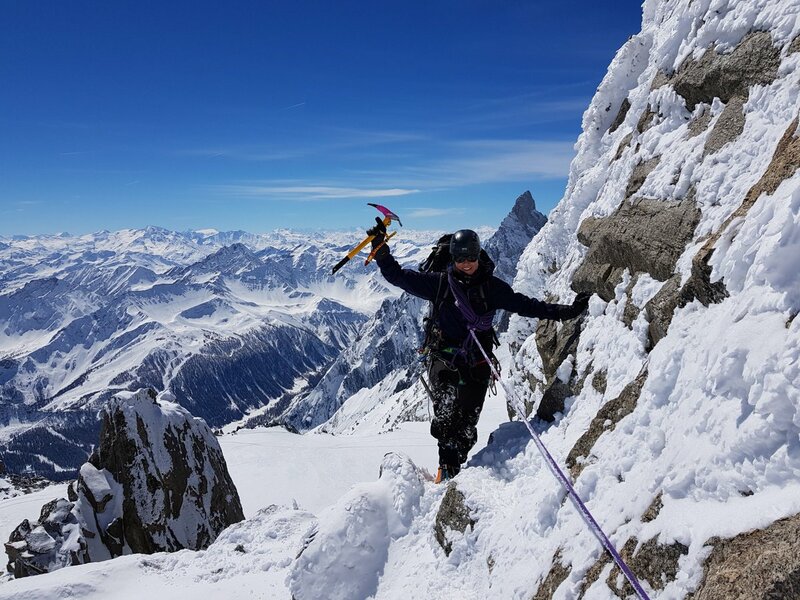 This 2 day course is suitable for climbers with some basic mountaineering experience, very good mountain fitness and a reasonable level of pre-climb acclimatisation. 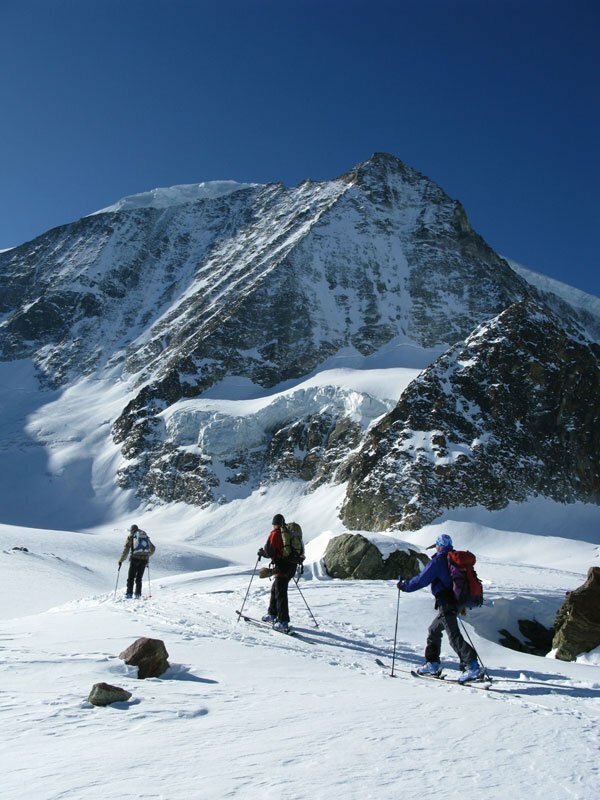 For this reason this course usually follows our Chamonix Alpine Intro or Gran Paradiso programmes. 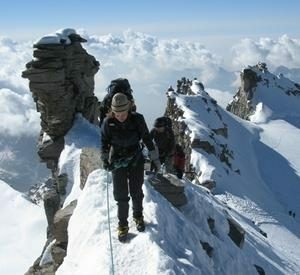 After a rest day or two, this would also be great preparation for our Climb Mont Blanc course. 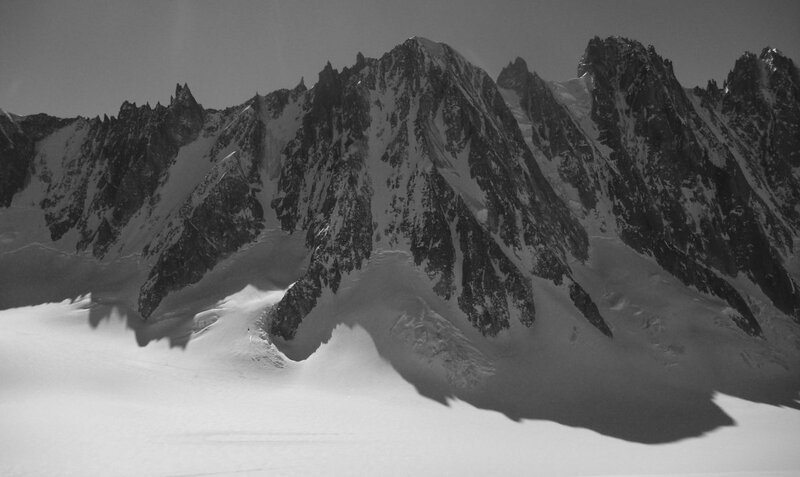 Superb glacier scenery on the Turtmann Glacier above the Tracuit Hut en route to the Bishorn summit. 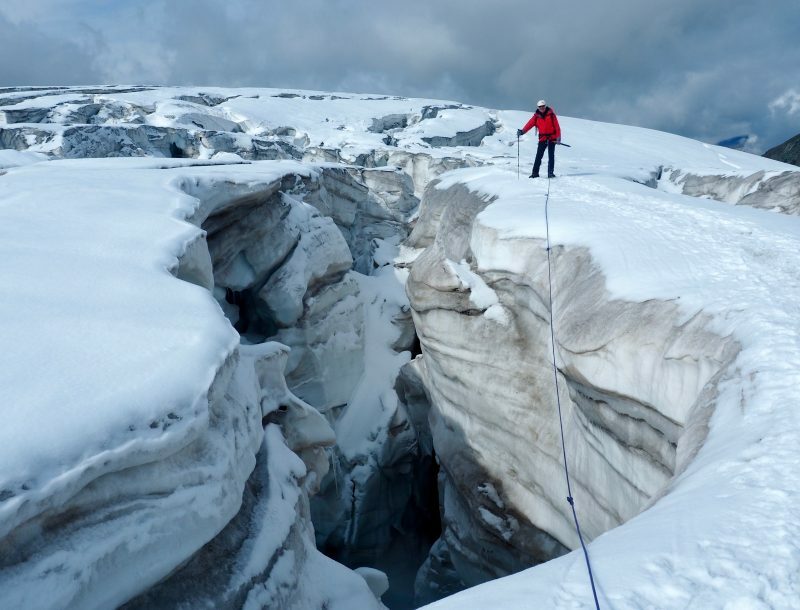 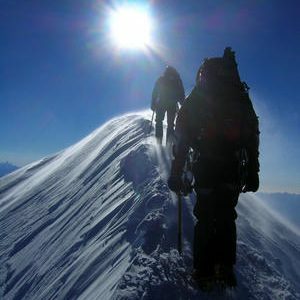 Some basic previous mountaineering experience is required for the ascent of the Bishorn. 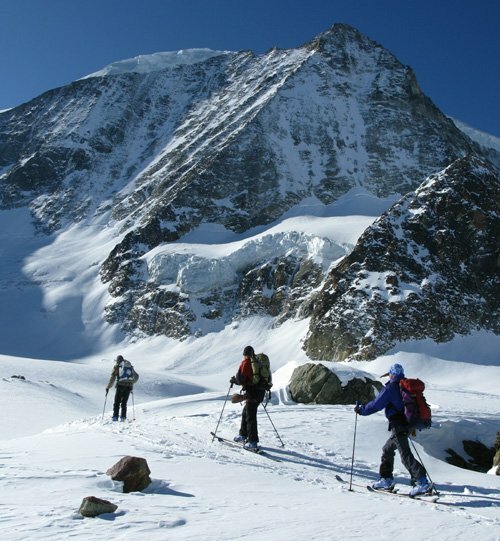 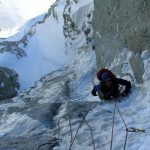 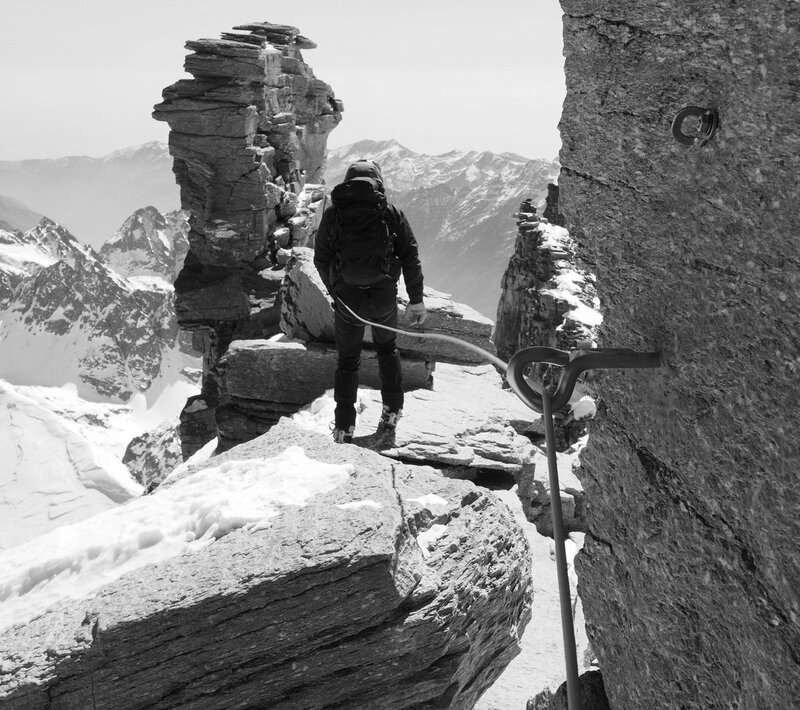 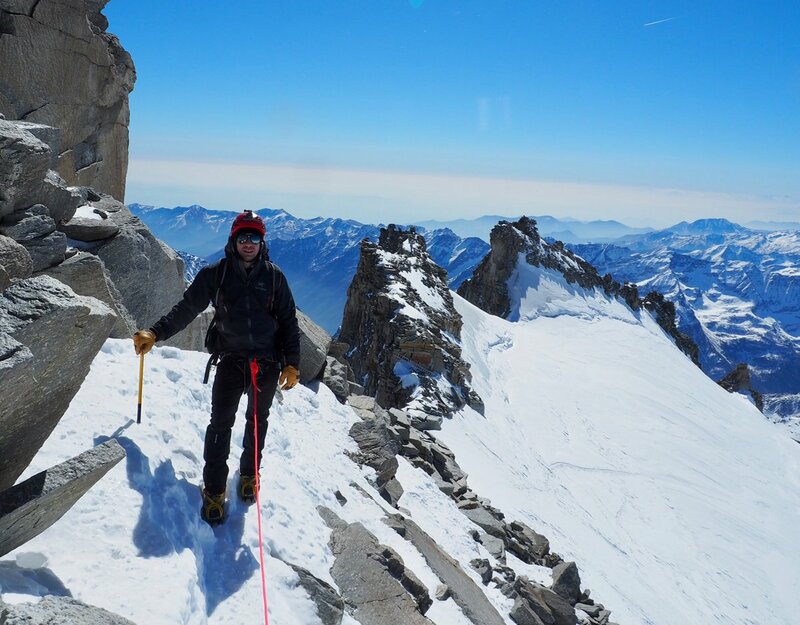 Those who have never worn crampons before should investigate our Chamonix Alpine Intro and Climb the Gran Paradiso courses or arrange some private guiding & mountaineering training prior to the course. 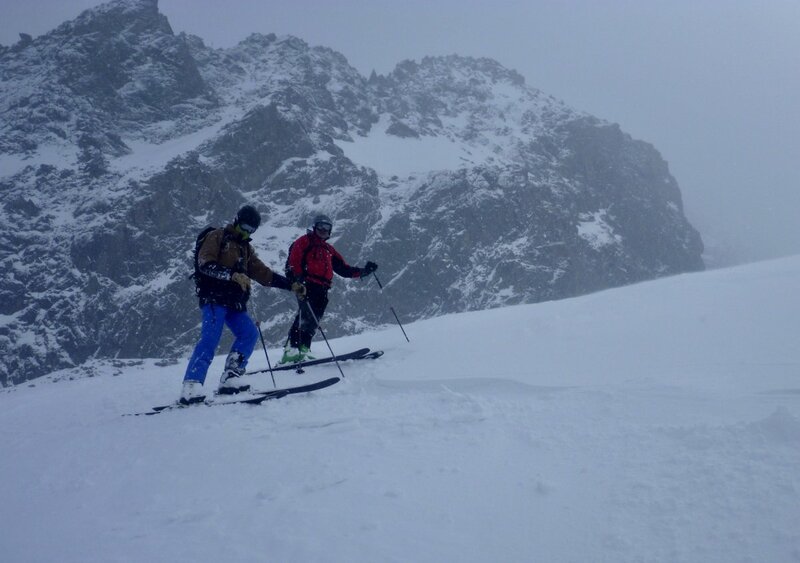 Pre course acclimatisation is also required with previous days spent above 3000m and ideally a night spent in a mountain hut. 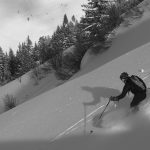 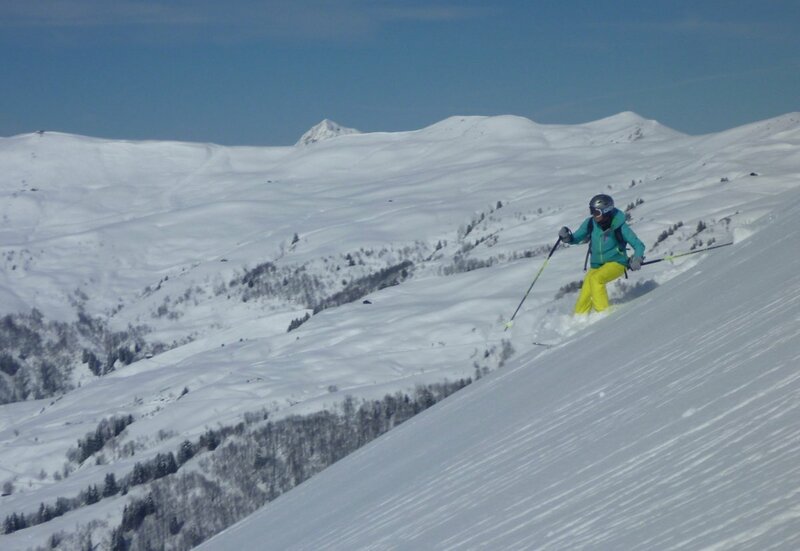 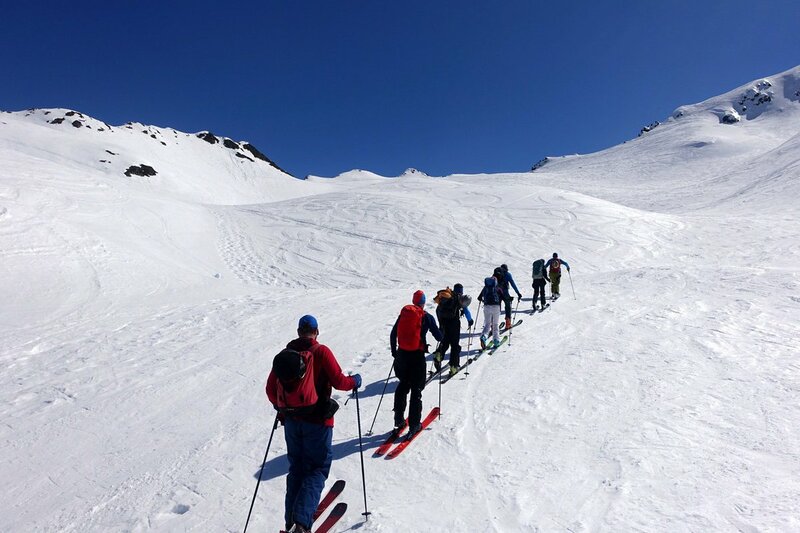 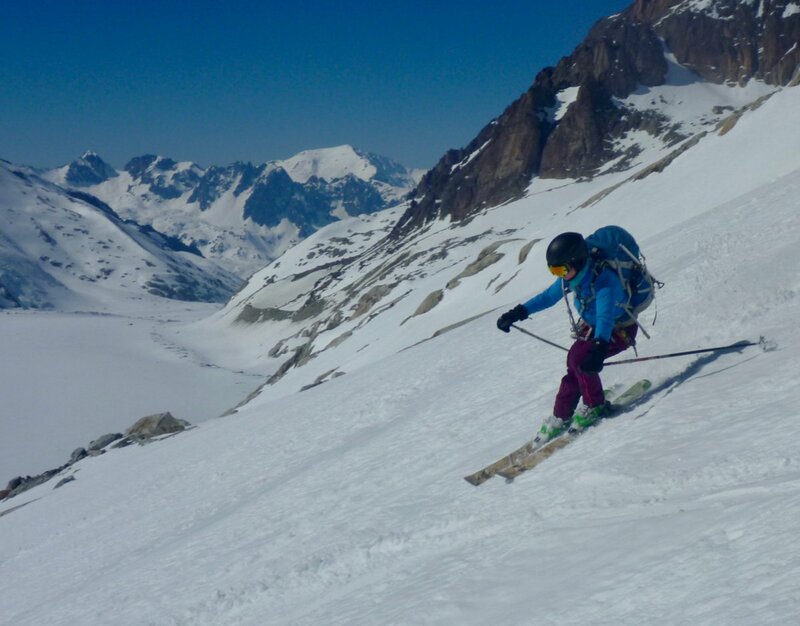 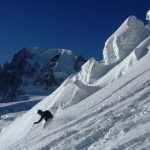 our Chamonix Alpine Intro course runs the week before and this is an ideal extension to that after the rest day in-between. 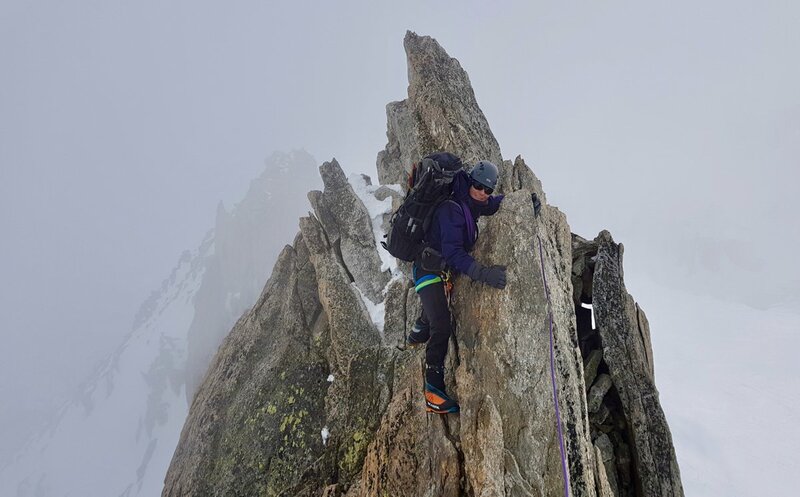 A very good level of fitness & stamina is also required for the long walk to the hut (around 5 hours) and then nearly 1000m summit climb to 4153mm on the summit days (c. 3-4 hours). 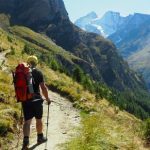 Some mountain walking experience is also required in order to be able to deal effectively with the rough paths and very long descent from the summit back to Zinal on the 2nd day of the course. 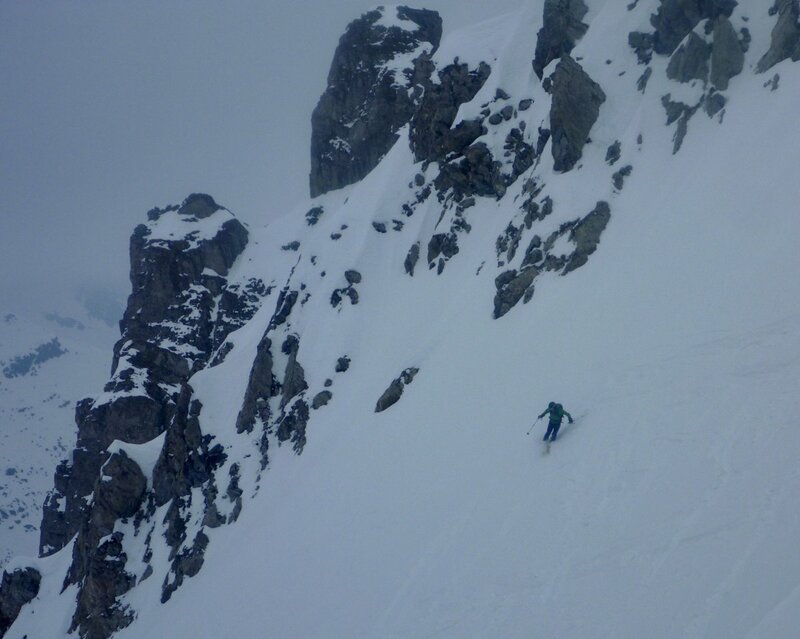 This presents a whopping 2500m descent! 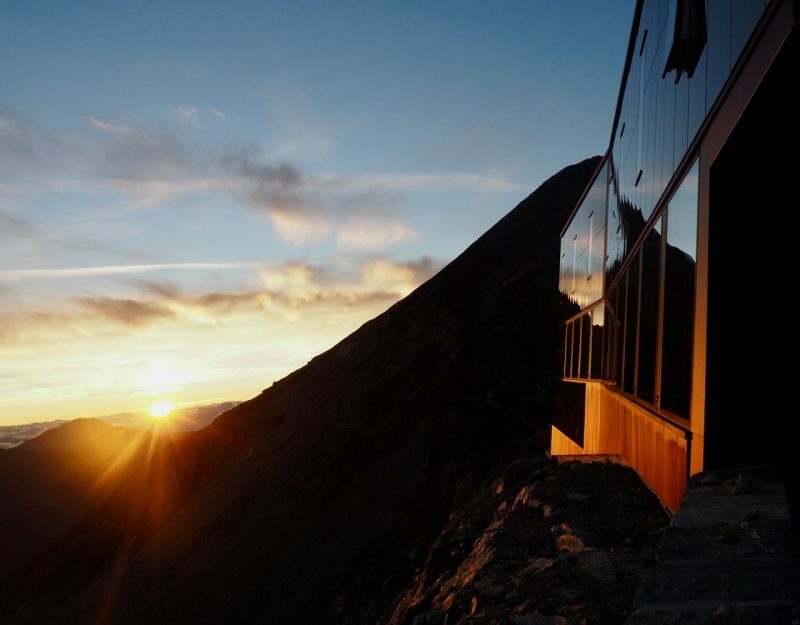 Superb evening views of the sunset from the Cabane de Tracuit. 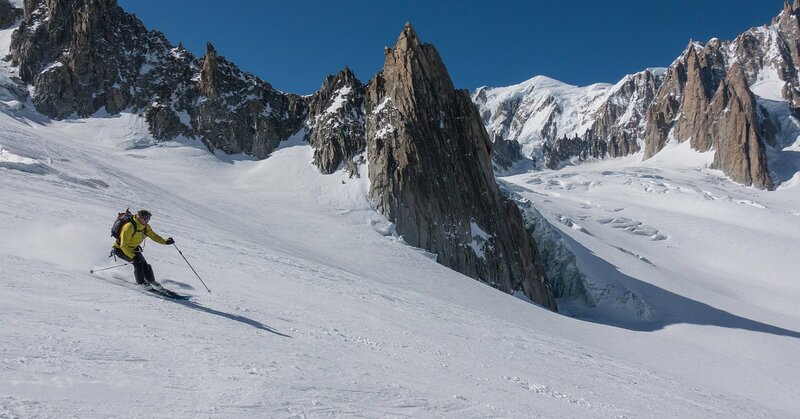 A chilly photo session!